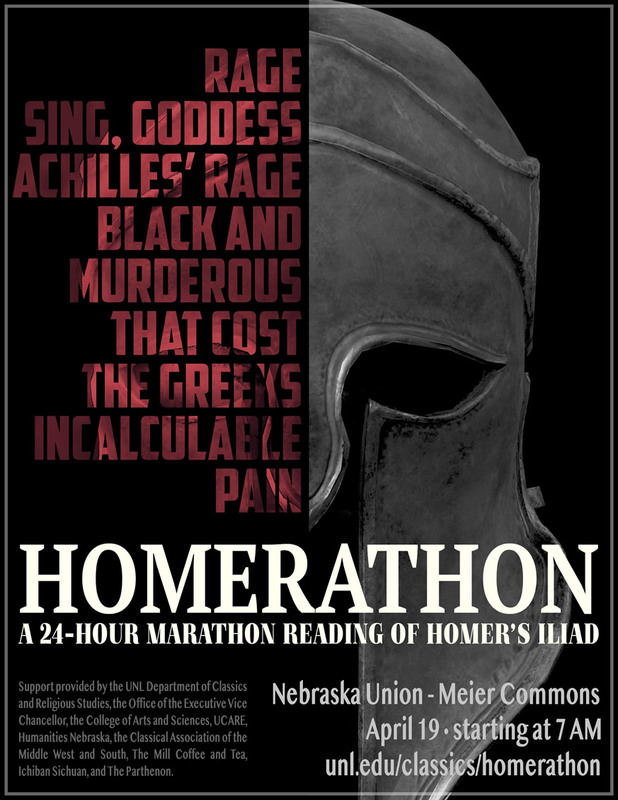 April 18 at 8:00 a.m.
A Homerathon is a marathon reading of a Homeric poem​, the way the ancient Greeks intended for it to be experienced. The Classics students are bringing the ancient epic to life for both the university and extended Nebraska communities. 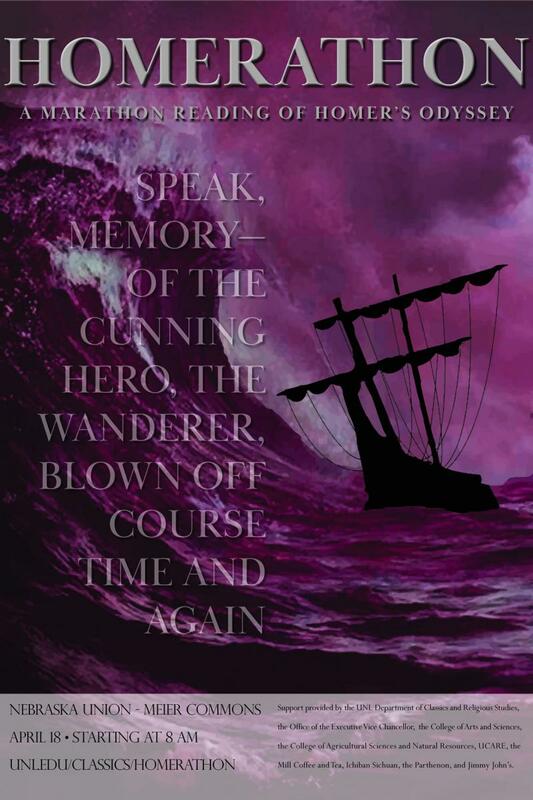 Come and be a part of the audience and see why the ​Odyssey​ remains relevant to our contemporary discussions of violence, heroism, and justice. In addition to the reading, various other forms of entertainment will occur throughout the day, and food and drink will be available for attendees. Undergraduate Classics students will also be able to answer any questions you may have about Homer’s ​Odyssey. Plus, you can get more involved by reading a passage yourself! Become a part of our interactive experience!